Place the beef roast into the base of the slow cooker and season with salt and pepper. Add the crushed tomatoes onto the roast and then sprinkle the Italian seasoning and balsamic vinegar over the top. 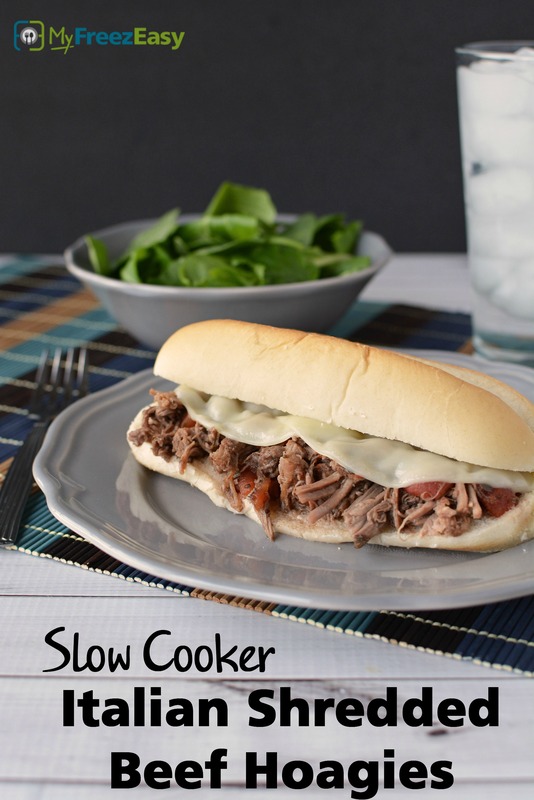 Serve Slow Cooker Shredded Italian Beef Hoagies with salad. Put baggie in the freezer and freeze up to 6 months in fridge freezer or 12 months in a deep freezer. Thaw in the fridge overnight, or a warm bowl of water for about 20 minutes, before transferring to the slow cooker and cooking on low for 8 hours. Shred the beef and assemble sandwiches as directed. Thaw and slow cook on low for 8 hours. 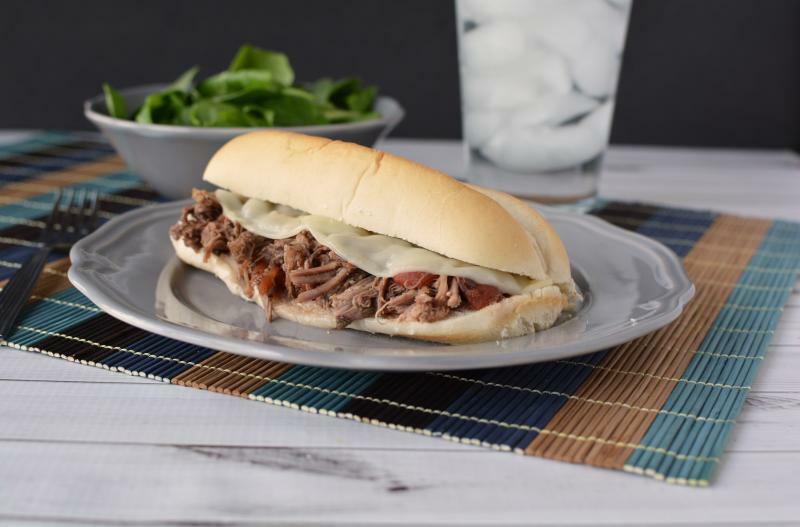 Once cooked, shred the beef with 2 forks and assemble hoagies with shredded beef and slices of Provolone cheese.